Rika’s Roadhouse was the site of the Tanana River crossing of the gold rush trail from Valdez to Fairbanks. 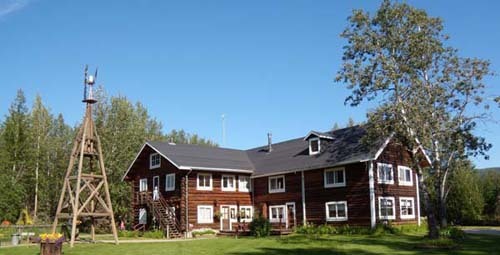 Delta Historical Society operates a museum in the old blacksmith shop; displays at the museum include period photographs and collections of pioneer and native Athabascan artifacts. A private concessionaire operates guided tours, a gift shop and limited food service. Parking, toilets and picnic sites are also available. Overnight camping is allowed. 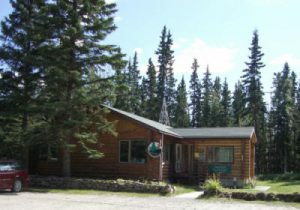 Delta State Recreation Site is conveniently located near downtown Delta Junction, at Mile 267 Richardson Highway. 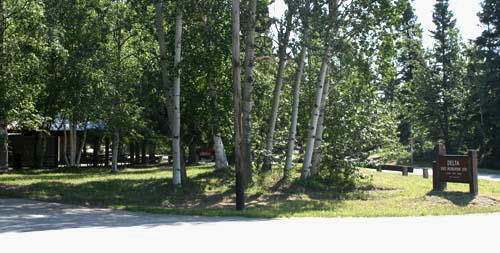 There are campsites with picnic tables and fire rings, water system, toilets, and picnic area. A gravel airstrip is located adjacent to the campground. This is a popular spot get your campsite early in the day! 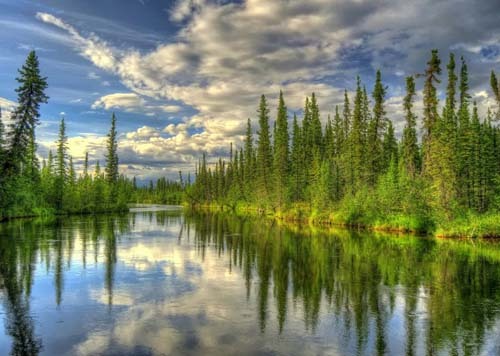 For more detailed information about recreation areas, stop by the Delta Visitors Information Center in the center of Delta Junction or the Division of Parks office (895-2112) on the Richardson Highway.